Kit includes 10 frame Langstroth hive with frames and foundation, gloves, veil, smoker, bee brush, hive tool, frame feeder and Beekeeping for Dummies book. Bees not inc.
Frame has beautiful charcoal and nickel finish. The wide profile will proudly display your material. The two-toned, versatile timeless styling looks lovely in a wide range of decorating styles. 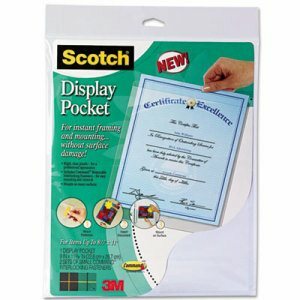 Comes with usable certificate and is equipped with easel back for desktop; also hangs vertically or horizontally. 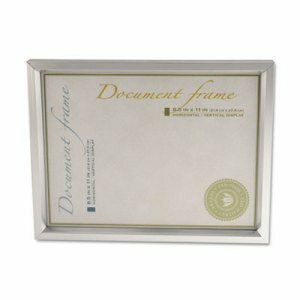 Frame Type: Certificate/Document; Frame Material: Plastic; Frame Color: Charcoal/Nickel Tone; Height: 16". 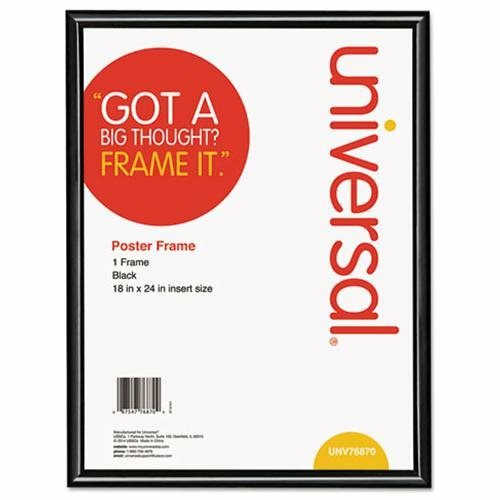 Instantly frame and mount signs, certificates or digital prints. 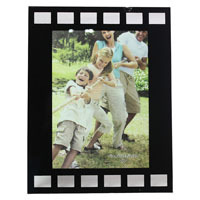 The display pocket includes Command� Picture Hanging Strips for easy mounting and removal. 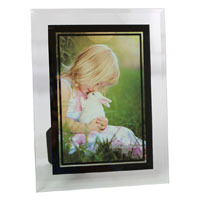 Rigid crystal-clear plastic gives documents a neat, professional appearance. 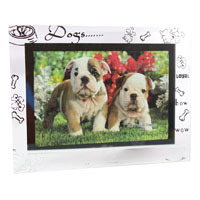 Frame Type: Certificate/Document; Frame Material: Plastic; Frame Color: Clear; Height: 11". Traditional round-profile design. Easy-slide material insertion saves time when loading. Simply flex, open and slide to quickly load your document, award, certificate or photograph. 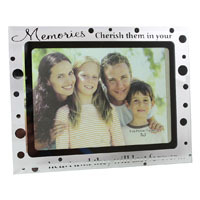 Economical plastic frame features an unbreakable plastic face to protect documents. Frame may be mounted with either a portrait or landscape orientation. Available with or without gold-trim. 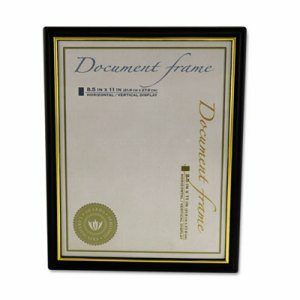 Frame Type: Certificate/Document; Frame Material: Plastic; Frame Color: Black/Gold; Insert Size: 8 1/2 x 11. Traditional round-profile design. Easy-slide material insertion saves time when loading. Simply flex, open and slide to quickly load your document, award, certificate or photograph. 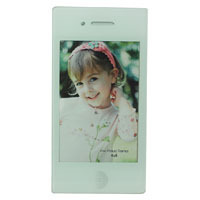 Economical plastic frame features an unbreakable plastic face to protect documents. Frame may be mounted with either a portrait or landscape orientation. Available with or without gold-trim. 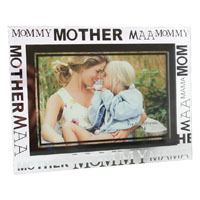 Frame Type: Certificate/Document; Frame Material: Plastic; Frame Color: Black/Gold; Insert Size: 8 x 10. 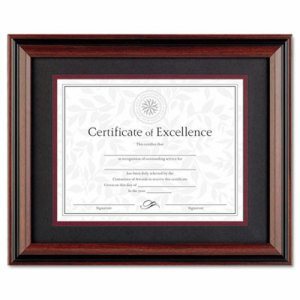 Two tone rosewood/black frame handsomely displays your documents and certificates. The wide profile frame adds sophistication to your home or office d�cor. It has a two-way easel back for desktop, and also hangs vertically or horizontally. 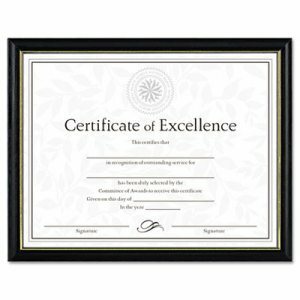 Includes a usable certificate. 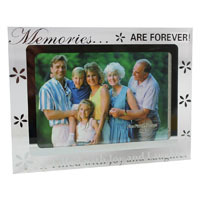 Frame Type: Certificate/Document; Frame Material: Plastic; Frame Color: Rosewood/Black; Height: 16". 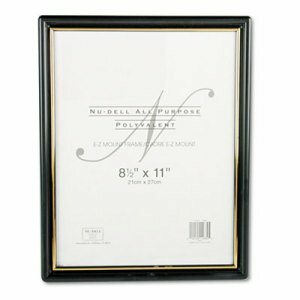 All-purpose document frames are a great value choice for framing multiple documents. 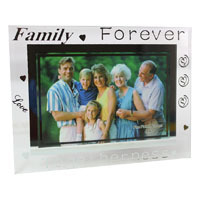 Plastic frames with clear plastic inserts to keep documents free of dust and dirt. 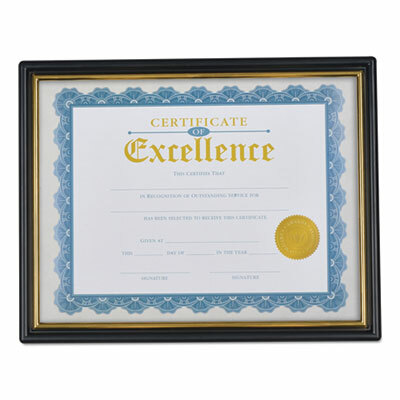 Perfect for documents, digital photos, diplomas, awards and certificates. 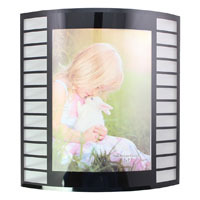 Die-cut backing includes cut-outs for vertical or horizontal display. 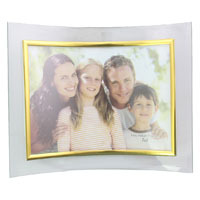 Frame Type: Certificate/Document; Photo; Frame Material: Plastic; Frame Color: Black/Gold Accent; Height: 12". Stylish, contemporary design with brushed metal-like finish gives document an upscale look. Portrait or landscape orientation. 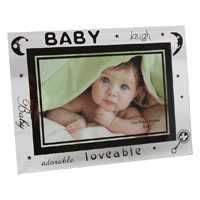 Frame Type: Certificate/Document; Frame Material: Plastic; Frame Color: Metallic Silver; Height: 11 1/4". 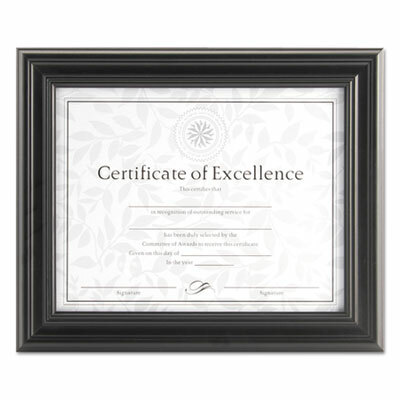 Two tone rosewood/black frame handsomely displays your documents and certificates. The wide profile frame adds sophistication to your home or office d�cor. It has a two-way easel back for desktop, and also hangs vertically or horizontally. Includes a usable certificate. 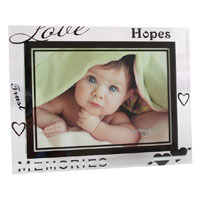 Frame Type: Certificate/Document; Frame Material: Plastic; Frame Color: Rosewood/Black; Height: 13". 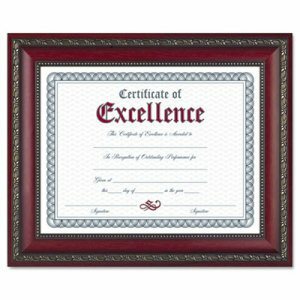 Add World Class distinction to your most cherished documents and certificates. 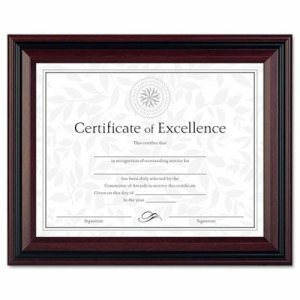 Traditional frame features a rich finish with ornate gold accents to surround your own certificate or, use the included certificate to create your own award. Hang horizontally or vertically, depending on your needs. 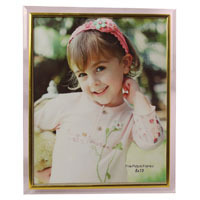 Frame Type: Certificate/Document; Frame Material: Plastic; Frame Color: Rosewood; Height: 13 5/8". Makes mounting posters and prints quick and easy. Hang vertically or horizontally. Glossy finish on the frame. Individually wrapped to prevent scratches to face or frame. 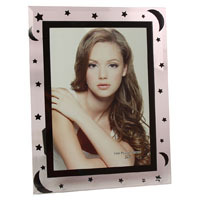 Frame Type: Poster/Print; Frame Material: Plastic; Frame Color: Black; Height: 24 3/8". 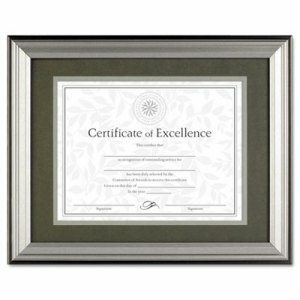 Economical black frame with gold highlights gives awards and certificates a professional appearance. Portrait or landscape orientation. 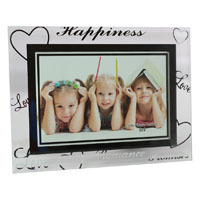 Frame Type: Certificate/Document; Frame Material: Plastic; Frame Color: Black/Gold Accent; Height: 11". 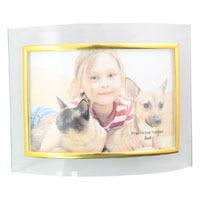 Dimensional solid wood document frame to highlight your most prized accomplishments. Features a drop-in back with a two-way easel to display on your desktop with hangers for versatile wall display. Also, includes a usable certificate. 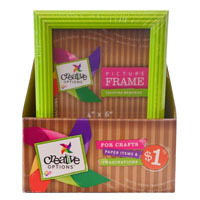 Frame Type: Certificate/Document; Frame Material: Wood; Frame Color: Black; Height: 13 1/2". Lovely solid wood frame with a gold leaf accent stripe. The attractive, traditional design is housed in solid wood. Front panel glass. Wall display only. Frame conveniently hangs vertically or horizontally. Includes a usable certificate. 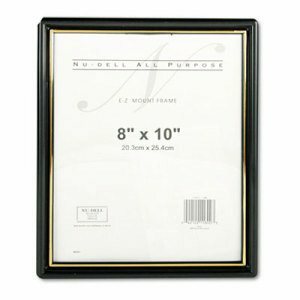 Frame Type: Certificate/Document; Frame Material: Wood; Frame Color: Black; Height: 11 7/8".